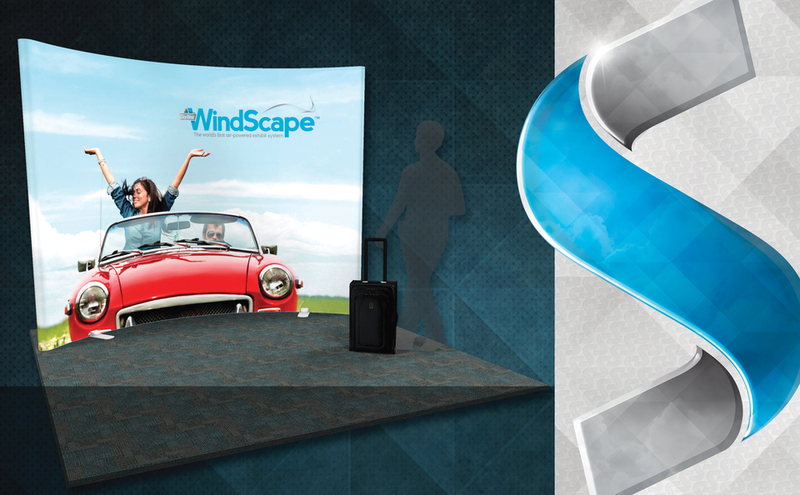 Looking for innovative ways to boost your trade show & event marketing ROI? Schedule your visit to our show room in Phoenixville PA, which is full of trade show display inspiration! 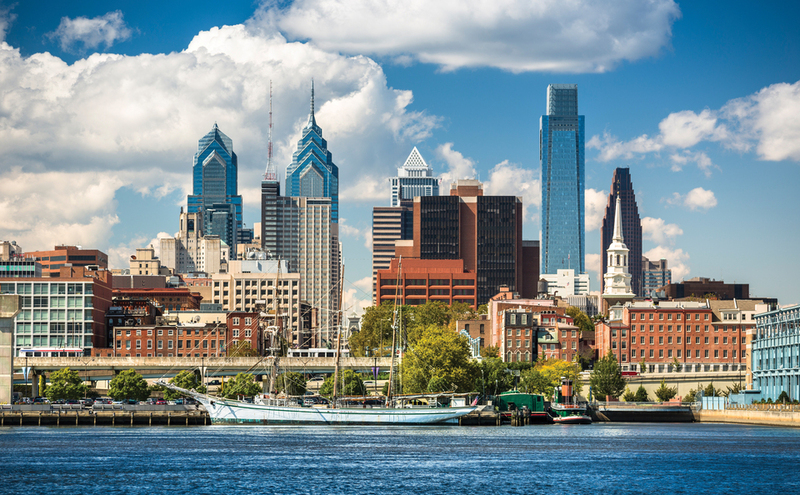 Dedicated to serving Southeastern Pennsylvania, Central to South Jersey, & Delaware since 2009. 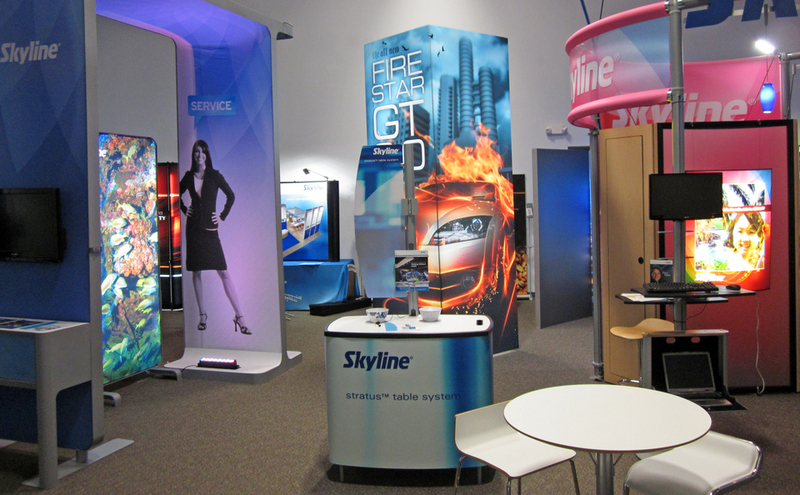 Skyline Philadelphia is an award winning trade show manufacturing and services company. We take pride in helping successfully manage our clients' event marketing programs and effectively expressing their brand identities at trade shows and events. As a team we are always looking to provide a better, more cost effective exhibiting solution for our customers through our wide variety of lightweight, easy to install modular and portable display systems. 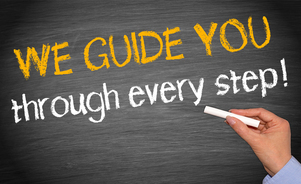 We take pride in providing our customers with solutions that fit their budget, timeline and goals. Our team takes a collaborative approach to create unique and effective trade show marketing plans for our customers. Our devoted exhibiting consultants work alongside you from the very beginning to define your event goals and create timelines to help you stay on track — and save you money! We also facilitate meetings with our talented Exhibit Designers, coordinate shipments to and from your trade shows and events, have resources to store your exhibit properties between events, can assist in filling out show book order forms, and much more. 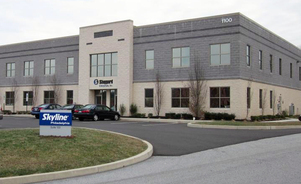 With our sales office and show room located in Phoenixville, PA, we are the Philadelphia area's leading resource for exhibiting solutions and services. 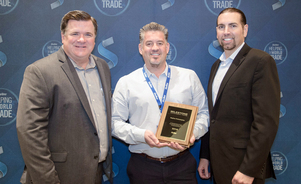 Our knowledgeable local Exhibiting Consultants are your dedicated resource for any of your trade show solutions or service needs, no matter where in the country - or world - you are exhibiting. 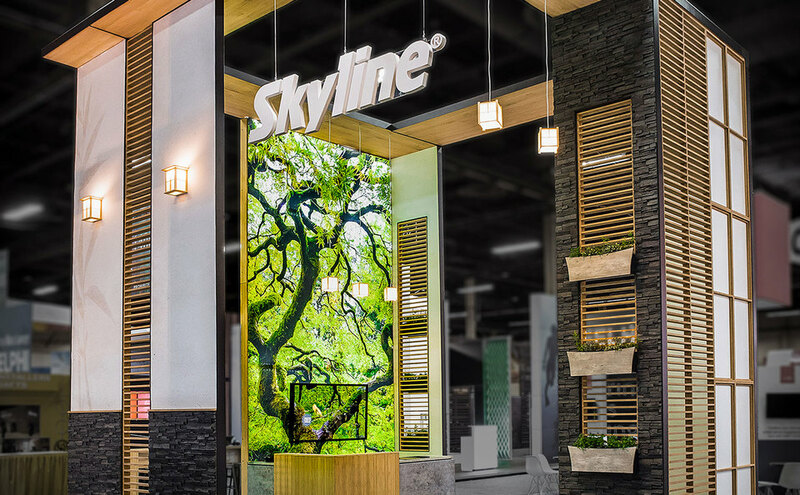 When you partner with Skyline, you will always be close to service and support wherever you exhibit via our network of over 135 Skyline dealers worldwide, all working together to ensure your exhibiting experience is a great one!